2D Tree, animated with cellular automata, with rules generated by genetic algorithm. 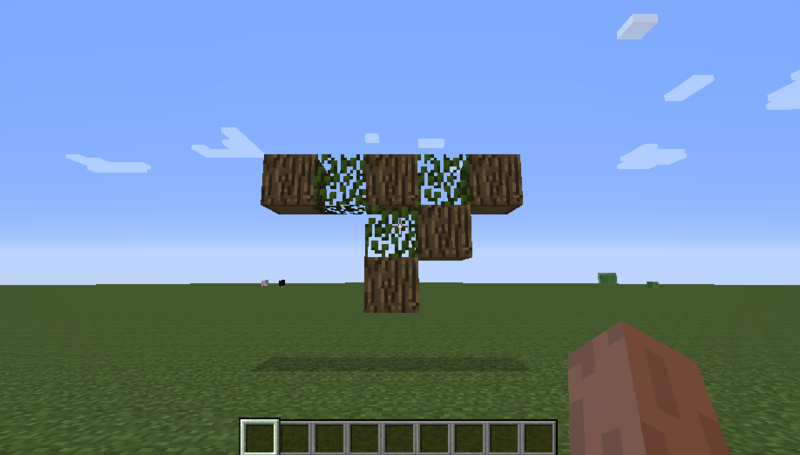 It appears at the spawn point in Minecraft. 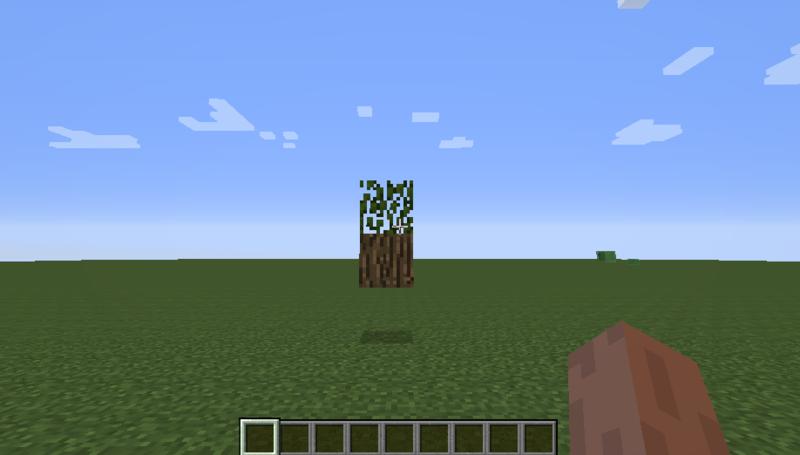 Right now it's just a prototype of an idea. 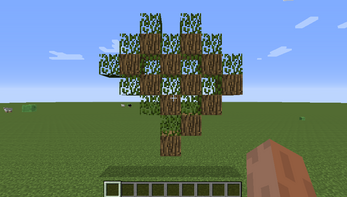 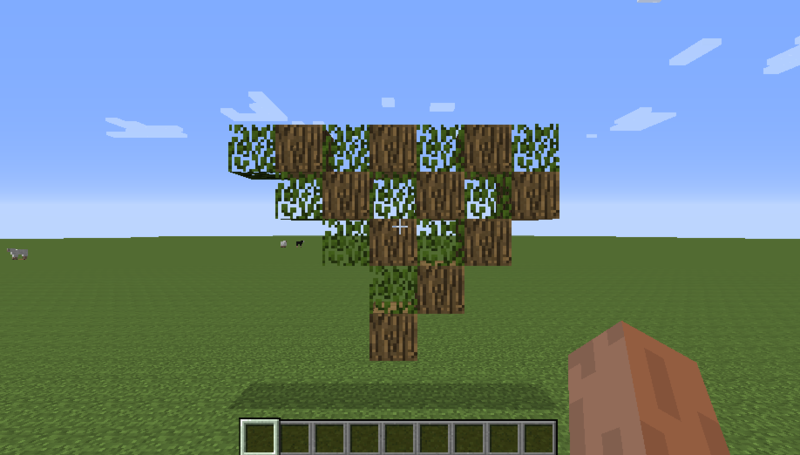 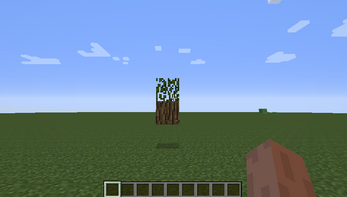 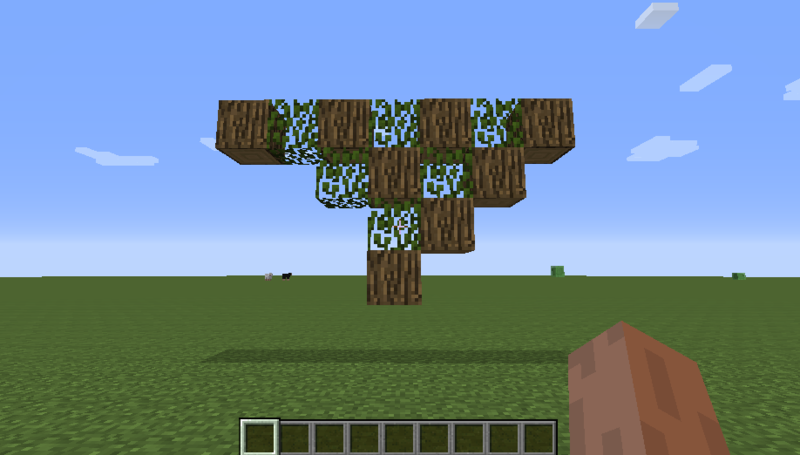 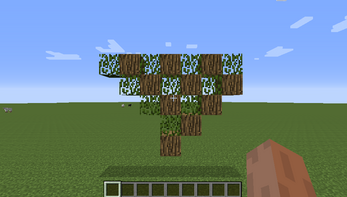 The idea is to make full realistic animation of gigantic tree growth in Minecraft and maybe animate all the trees with this algorithm. It's better to create a Superflat world, otherwise the tree might appear undeground.